By Peter Anderson 2 Comments - The content of this website often contains affiliate links and I may be compensated if you buy through those links (at no cost to you!). Learn more about how we make money. Last edited March 21, 2014 . For years I've heard from some of my friends in the personal finance sphere that many of them use a Discover card as one of their main credit cards. For me I've always had a notion in my head that the Discover card was the read headed step child of credit cards that wasn't accepted at very many places, and that had benefits that didn't match some of the other cash back and rewards cards out there. I'm now discovering that I was wrong. Discover has come a long way, and they're now more widely accepted and used than I had even realized with over 54.4 million cards in circulation (source). 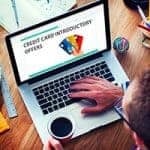 They may still be smaller than Visa and Mastercard in terms of number cards out there, but they certainly have caught up terms of card benefits, no fees and importantly, customer loyalty. According to the 2012 Brand Keys Customer Loyalty Engagement Index Report, Discover has been ranked number 1 in customer loyalty for 16 years. A short while ago Discover revamped their credit card lineup. In the past they had several cards available that you could sign up for, among them the Discover More Card and the Discover Miles Card. Those cards have all been retired and their entire lineup has been replaced by the Discover it® Card. Today I thought I'd do a brief Discover it® Card review. Discover is a relative newcomer to the credit card scene, only having been introduced nationwide back in 1986. They were a part of Dean Witter and then Morgan Stanley until 2007, at which time Discover Financial Services became an independent company. Discover also moved into the debit card arena in 2006 when they announced they would begin offering Discover debit cards to banks. Discover has come a long way since 1986, and they're now offering some of the most attractive credit card options out there. Traditionally Discover has been known for a couple of different things, their great balance transfer offers and their great cash back rewards. First, let's take a look at their cash back rewards. 5% Cashback Bonus in rotating categories. Save on things like gas, restaurants, and home improvement stores up to the quarterly maximum. 1% Cashback Bonus on all purchases and there is no limit to how much you can earn. For me the key here is the 1% cash back on all purchases, that's a great deal and it's actually cash back that you can use for a statement credit or direct deposit into your bank account. No points to worry about! On the other hand, if you want to redeem your points in other ways you can use your cash back to get gift cards and other items. In some instances you can get gift cards that exceed your cash back balance. For example use $20 cash back to get a $25 gift card. That could come in handy if you were planning on buying something anyway! For the 5% cash back categories mentioned above Apr-Jun this year will come in handy for us since we're building a home right now and the current bonus category is at home improvement stores. We're spending a lot of money at Home Depot right now, so that would be a good one to take advantage of. With gas prices going up substantially this week, the gas stations bonus category in July-September will be great as well! Another thing Discover is known for is their balance transfer offers, and they do have a couple of decent ones that you can take advantage of right now, among the best available right now. As with most balance transfer offer deals there is a 3% balance transfer fee, so be aware of that. If you look around at other credit card issuers right now, the longest you're likely to find is 0% for 18 months, although some in the past went as long as 24 months. If you're looking to transfer a balance, Discover is among the best and should be at the top of your list. Discover enjoys great customer loyalty, and one of the reasons is because they don't charge a bunch of fees like some cards do. So no annual fee, first late payment fees waived, no overlimit fees and no foreign transaction fees. The card is flexible, has good customer service backing it up, and you're protected in case of identity theft or other fraudulent charges. One of the few downsides i can find for the Discover it Card is that it doesn't have an attractive signup bonus like some other cards on the market. While that's a definite negative, for the most part the card's positives make up for it. With its cash back rewards, great balance transfer offers and no annual or overlimit fees, Discover has a solid credit card offering that should be in the running if you're looking for a new card. Granted, it doesn't have an attractive cash bonus offer at the outset like some cards do, but in the end the card's benefits are equal to or better than most other cards out there. * See the online credit card application for details about terms and conditions. Reasonable efforts are made to maintain accurate information. However all credit card information is presented without warranty. When you click on the “Apply Now” button, you can review the credit card terms and conditions on the issuer’s website. Discover is a paid advertiser of this site. Last Edited: 21st March 2014 The content of biblemoneymatters.com is for general information purposes only and does not constitute professional advice. Visitors to biblemoneymatters.com should not act upon the content or information without first seeking appropriate professional advice. In accordance with the latest FTC guidelines, we declare that we have a financial relationship with every company mentioned on this site. You are correct. Greatness is not just on the card cash back, but a great benefit for a long time. Discover gives great opportunities for us who want to build a credit score. Requirements to obtain this card is also not difficult. With a low credit score we can apply it. Of course, further development is up to us. If we are able to use it properly, such as paying bills on time, we will get great benefit from this credit card. Make sure you don’t use the discover card for both balance transfers and purchases. Its payment allocation policy may bring you into trouble since payments first go to a balance with a lower APR. Look for more details here https://effectify.com/. On Discover website it’s described in a very weird way. Next Post: Is The Middle Class In The Same Financial Class As Low Income Earners?